In order for a new public employer to participate in the public retirement systems administered by the NJDPB, the employer must first be included in the State of New Jersey's agreement with the Social Security Administration. The following are the required steps that new public employers must take to be included under the State of New Jersey — Social Security Administration Agreement, and ultimately to become a participating employer in our retirement systems. The Employer Identification Number (EIN) from the IRS. The effective date requested for Social Security coverage (usually the date of the employer's first hire). The number of employees to be covered. The name, address, phone number, fax number, email address, and title of the person who will be the NJDPB's contact (usually the Certifying Officer). After the required information is received, the NJDPB executes a formal modification to extend Social Security coverage under Section 218 of the State's Social Security coverage agreement. The Secretary of Health, Education, and Welfare approves the modification. This process may take six or more months. Once the NJDPB receives notice of the successful modification, a copy of the modification is sent to the contact person. Copies of the modification are also sent to the Enrollment Bureau, the Health Benefits Bureaus, and the Employer Education Unit of the Office of Client Services within the NJDPB. Upon receipt of a copy of the modification, the Employer Education Unit contacts the employer to arrange training and assistance. 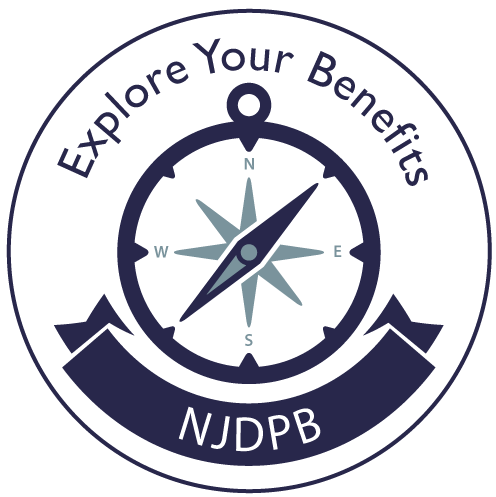 Once enrollment or transfer forms are received by the NJDPB, an employer location number is assigned for each retirement system in which the employer is enrolled. The NJDPB uses the location number to create and identify the new employer in our database systems. Most pension documents submitted to the NJDPB by the employer will request this location number. The Employer Education Unit remains available to provide additional training or to assist in locating/downloading any necessary forms or information. The receipt of the required information and the subsequent assignment of a location number, will create a master file for the new location in our database system. All enrollment certifications for payroll deductions and the quarterly Report of Contributions (ROC) form will be generated from the master file. Because there are many steps involved in the approval process, several of which are outside the purview of the NJDPB, the process may take several months to complete. During that time, eligible employees of the new employer must wait to be enrolled. Once the approval process is complete, the employer will receive certifications to withhold back deductions of pension contributions for each eligible employee retroactive to their eligibility date. The NJDPB does not promote the withholding of pension contributions from employees before a certification is issued and cannot accept pension contributions withheld by the employer in an effort to avoid a hardship resulting from back deductions. Members of the PFRS may be eligible for a homeowner's mortgage under the PFRS Mortgage Loan Program. To qualify, a member must be actively employed in a PFRS-eligible title, with at least one year of creditable service. Funding for this program is provided by the PFRS, but it is administered by the New Jersey Housing and Mortgage Finance Agency (NJHMFA). The PFRS Mortgage Loan Program is administered through private area lenders approved by the NJHMFA. These mortgages are available through area lenders that participate in the program. If a member is interested in applying for a mortgage under this program, they should be sure to read the NOTICE TO APPLICANTS on the NJHMFA website www.nj-hmfa.com concerning mortgages issued under this program and taxable distributions. Note: The Long Term Care Insurance Plan was closed to new members as of August 1, 2012. The program is only available for members enrolled prior to this date who continue to pay required premiums. In the case of most active State employees and employees of the State's colleges and universities, the employer deducts the premiums from the employee's paycheck. Employees are only permitted to authorize payroll deductions for themselves and their spouses. All other enrolled individuals are offered direct home billing arrangements. The New Jersey State Employees Commuter Tax Saving Program (Commuter Tax$ave) is a benefit program authorized by P.L. 2001, c. 162 (Chapter 162) and available under Section 132(f) of the federal Internal Revenue Code. See the Commuter Tax$ave Program Fact Sheet for more information, including current salary deduction limits. Additional information for members can be found here.